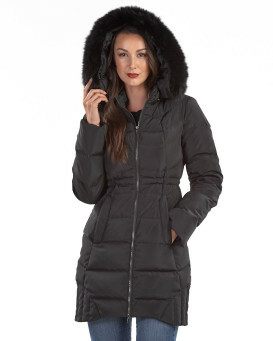 Available with a wide variety of fur types, styles, features and prices, the choices of Fur Coats and Jackets are endless. Whether you're looking for something short and fun, long and lavish, or maybe even a mid-length coat with accented fur trim, we're sure to have something suited to everyone’s unique style. With styles in every budget, our Fur Coats & Jackets are all made with the utmost care and craftsmanship, using only the finest fur pelts available. 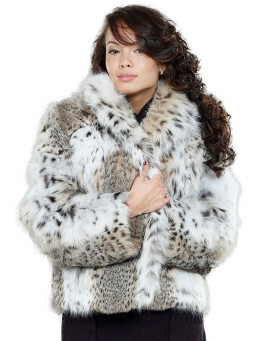 We have rabbit fur and sheepskin Fur Coats under $500, raccoon, mink, fox, and Rex rabbit Fur Coats under $1000, as well as the most exquisite assortment of Luxury Fur Coats. Take a look and see what suits your style--we're confident that we have what you're looking for..
Take the winter party season by storm by showing up at your next gathering under cover of a snazzy fur jacket or mink coat. How wonderful to stand out from the masses with a fashion statement that'll keep you toasty while starting tongues wagging about the ultracool piece of couture with which you've decked your frame. 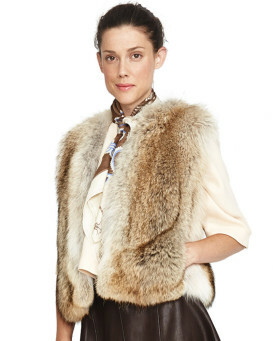 But the fur coat and fur jacket trend is being trumped by the new fashion queen, the fur vest. The rabbit fur knitted long vest with raccoon fur trim and hood is an extraordinary piece that transforms its wearer into a lioness type, complete with round-the-face mane and hip-hugging length. 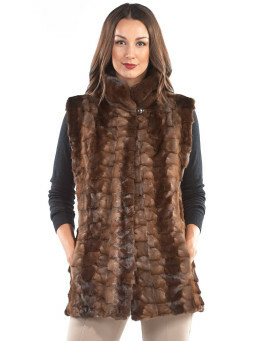 And the Brynn mink vest with collar is utterly dazzling with its slinky fur texture and dramatic ebony hue. Just as nothing is as warm as fur, nothing is as fashion-forward gorgeous, either. That means all seasonal soiree bases are covered in these spectacular, sleeveless stunners. 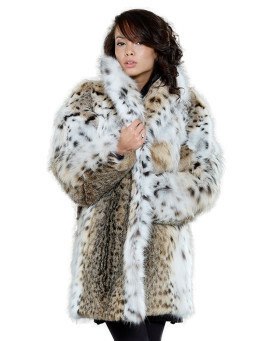 Fur Coats and Jackets may be the most important item of clothing youll wear this winter. 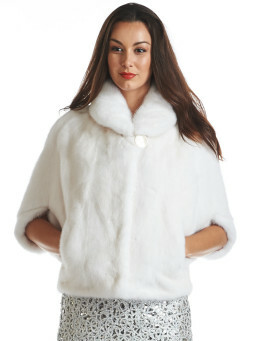 Fur Jackets make winter enjoyable with their warmth and with their style. These fur jackets from FurHatWorld are made from some of the finest furs available and are professionally made to give you the confidence youre buying a real luxurious fur jacket. Short jackets, long jackets or full fur coats, we have everything for everyone looking to stay warm this winter. 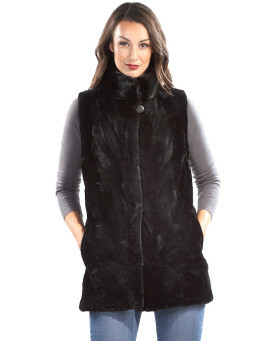 We always carry fur vests to wear around the house or for added style. Mink coats can be some of the most expensive fur coats because mink pelts are considered the most beautiful. However, you can buy a beautiful Mink fur coat factory direct from FurHatWorld. 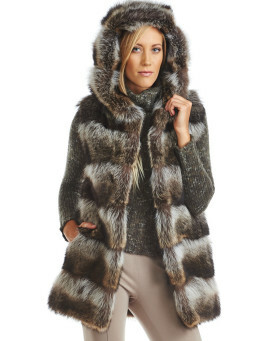 We also carry fur jackets in coyote fur, fox fur, rabbit fur, and raccoon fur. "This jacket is to die for! Furhatworld have excelled yet again!! 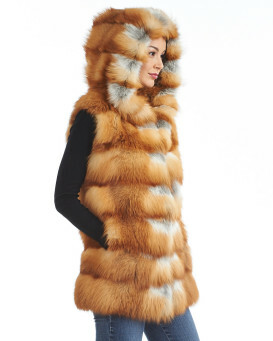 This classy, oh-so-sophisticated fox fur jacket, is beautiful in design, sooo girly in color and keeps me toasty warm! And, is so elegant..... I have had numerous compliments ever since I have worn it. People really comment on the gorgeous shade of pink and the very unique vertical panels on the sleeves... Which are so on trend... When I wear it, I feel like a princess... The blush shade of pink compliments my blonde long hair with blue eyes. The professionalism of Furhatworld is outstanding, and nothing is too much for the staff to do in helping their customers. The products that Furhatworld sell are high class... I will always buy my furs from this marvelous fur company. Long live Furhatworld!.... Long live Canada!... From a very happy customer"
"As of today, this Bolero jacket is out of stock, but will have more this month. I wear this every day. I bought it as a bed jacket, and for just going on errands, and have worn it everywhere from Doctor's appointments, to Home Depot, to our cabin. It's SO warm, surprisingly, I thought I would be cold, my husband was bundled up in layers, but I was so warm I had to take the jacket off for a while! It's perfect because the sleeves are short, and I can work in the kitchen, or outside without having to push up the sleeves. It's still white as snow, and beautiful! The big fashion button did fall off after a week though. That bugs me a little because I hate it when buttons aren't sewn on properly. But if that's my only "con" that's not much. This is a GREAT little jacket, and as I told the lady at Home Depot..."Every woman needs a fur coat!" And this one is a WINNER!" "I just received my coat today. I can't say enough great things about it. The quality and fit is fabulous. I got the gray military coat and it is even better looking in person than in the pictures. I am 5'8" tall, 138 lbs and the medium fits great. I typically order a large in coats because I like long arms, but I ordered the medium and it fits perfect. This is my third purchase from this company and I highly recommend them. They are very reputable and everything has been as good, if not better, than described." "LOVE this coat! It's lightweight, warm, comfortable and stylish. Love the fur trim on the removable hood...although I don't plan to remove the hood as I love the feel and look of the trim. The quality and workmanship of this product are superb...the 2-way zipper and inner waist cinch drawstring are wonderful touches. I've been very pleased with all my purchases from FurHatWorld!!" "I got this for my wife as a birthday gift and she absolutely loved it!! It’s very nice and classy. It was so simple I ordered the coat it was delivered on time and with no issues. I will continue to be a customer and 100% had no issues at all!!" "Customer service was excellent. Shipment arrived in just 3 days. The fur on the parka is exquisite ! Very full and luxurious. I wore the coat today in -6 C temp and it was very warm and cozy. I am a return customer and would definitely recommend buying from this website as their products are excellent quality and they provide great customer service. Also found that this style is true to size. Very Happy Customer:)"
Based on 291 customer reviews.